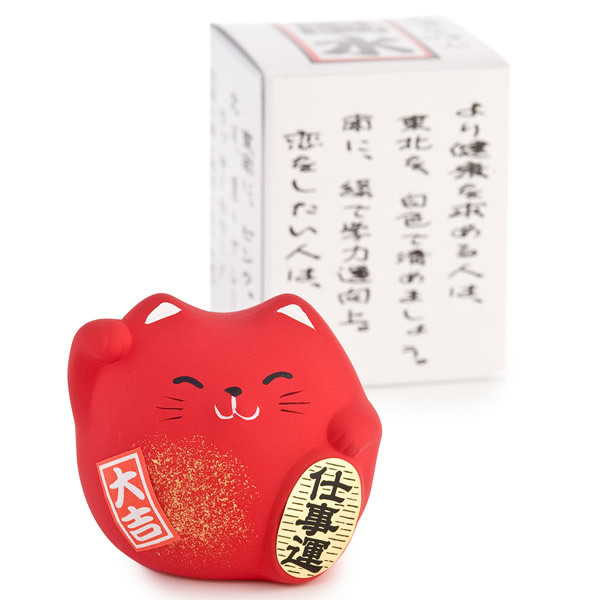 The Small Feng Shui Work Lucky Cat is a very cute red ceramic Japanese lucky cat, or maneki neko, with its right paw raised which is believed will bring you prosperity and good luck at work! 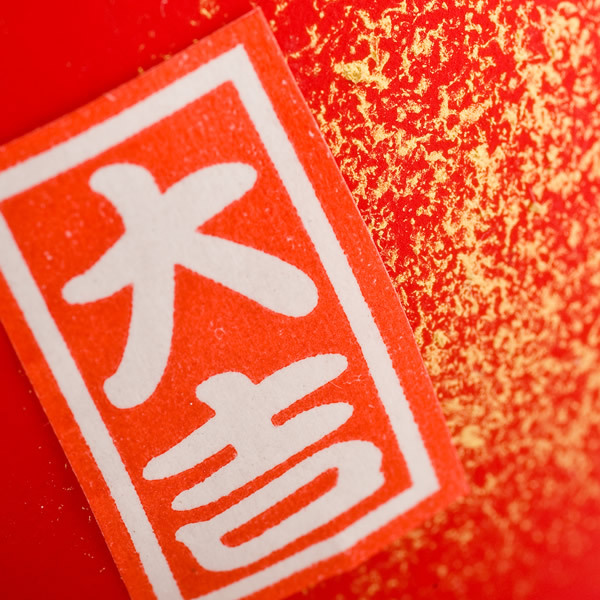 The white Japanese kanji characters on the red box on the left mean good luck! 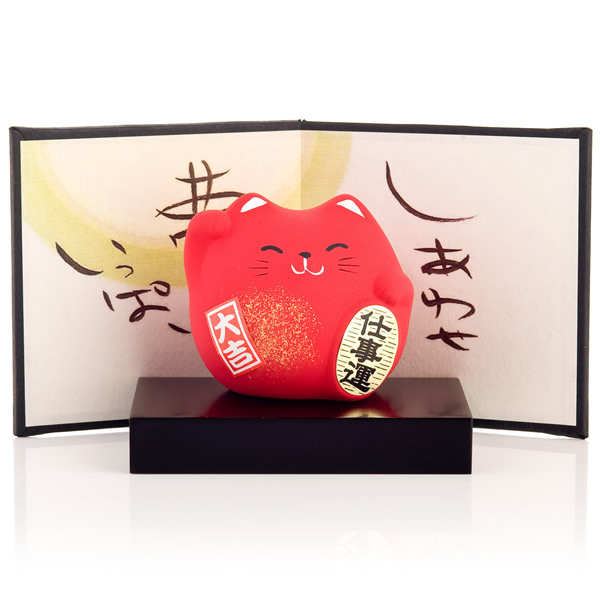 We recommend you place your Small Feng Shui Work Lucky Cat near the entrance to your home, an ideal Japanese gift for working people! 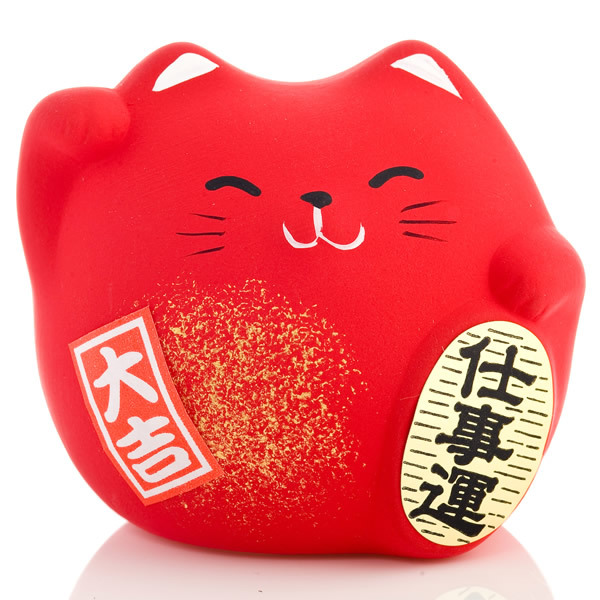 Buy your Small Feng Shui Work Lucky Cat online and have it gift wrapped free of charge, or visit us at our showroom for this and many more authentic Japanese lucky cats!